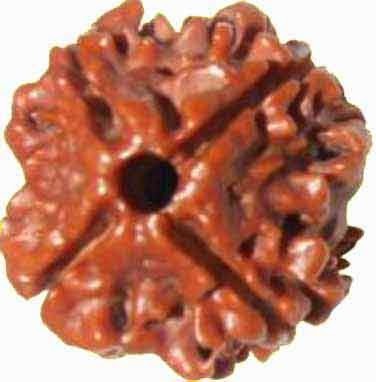 Char mukhi is the four faced Rudraksha and it is dedicated to Hindu God Brahma. It also has the blessings of Navagraha Budha. So what are the benefits and importance of wearing Char Mukhi Rudraksha? There are numerous benefits especially it improves intelligence and helps in studies. Symbolically the holy bead represents the four purusharthas in Hindu religion – Dharma, Artha, Kama and Moksha. Wearing char mukhi rudraksha helps in improving memory power. Improvement of intelligence and knowledge. Good for students as it helps in studies. Good for singers as it improves speech and sound. Redemption of sin associated with killing of animals or other living beings. Spiritual insights and divine knowledge. It is used by some people to attain divine powers. Char Mukhi is a very rare and you should be careful before one. There are so many people who sell duplicate rudraksha beads.